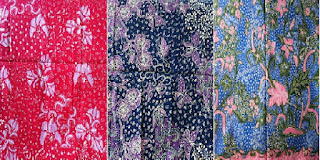 Batik batik Lasem as its name comes from the area of lasem, a Regency in Central Java pantura rembang. History began when Admiral Cheng Ho from china anchored in this area and when he wanted to continue the journey there was his men who wish to settle in lasem. Through them, the batik was introduced to local communities. Therefore, the influence of Chinese's cultural is strong, then the colors of batik lasem is tend to be bright and free. 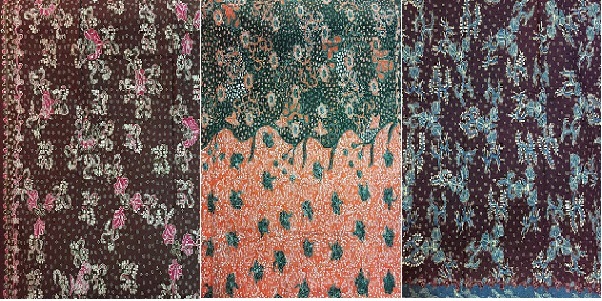 Batik lasem is distinguished into three types of main characteristics based on its motive, namely, latohan, krecakan and sekarjagad. Latohan is a kind of herbs or fruits utilised local citizens as a vegetable such as urap and others. 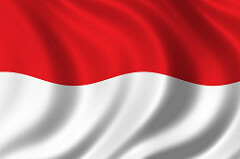 Whereas, krecakan means fractional inspired stone workmanship of the road line (anyer-panarukan) or known as Deandels road. Segarjagad means that the motives of the different forms of flowers are irregular and scattered. 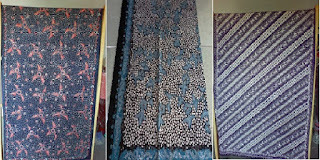 But there are many names in batik motif and colour based lasem among them; lasem krecak, lasem bledak, three negri, lasem, lok can, lasem sekarlatoh, lawasan, mahotadewa and many other motives. 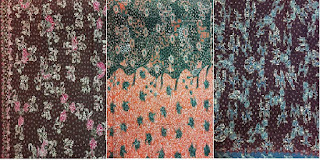 0 Response to "The Beatiful of Batik Lasem"